When we look at the numbers, there is no doubt that our daily habits, including what we eat, how much we move, and whether or not we smoke, significantly impact our health. A recent report from the Centers for Disease Control estimates that 80% of deaths from coronary artery disease and 50% of deaths from stroke in the US could be prevented with healthy lifestyle habits. Remarkably, 70% of colon cancer and up to 90% of type 2 diabetes might also be avoided with regular physical activity, maintaining a healthy weight, smoking cessation, and consuming a diet featuring plenty of vegetables, moderate fruit, beans, and whole grain, and smaller portions (or none) of animal proteins and dairy products. Deanna Price, MD, knows the numbers and has a passion for helping patients adopt healthy diet and lifestyle habits at YRMC PhysicianCare. As part of her work as a primary care physician, she practices ’Lifestyle Medicine’, counseling patients on ways to start an exercise program, incorporate stress reduction practices into their daily lives, or to stop smoking. But her real passion is food, because she has seen first-hand how quickly a plant-based diet can stop the progression of or even reverse chronic disease. RCR: When did you first become interested in the important role food and lifestyle play in health and disease? DP: I’ve always been interested in treating disease with diet and lifestyle but didn’t have a direction until 3 years ago, when I listened to a lecture by Dr. Caldwell Esselstyn, a cardiologist at the Cleveland Clinic. The name of his lecture was, ‘A Paradigm Shift in the Treatment of Cardiovascular Disease’. Esselstyn thought there was a better way to treat people with cardiovascular disease (CVD). In his first intervention in 1985, he put 22 of his sickest patients on a plant-based diet. These were patients who could no longer be medically managed and had no hope of recovery. Four of the people who dropped out went on to have more cardiovascular events. The eighteen that stayed on the diet had no more events and were eventually symptom-free. Esselstyn published a bigger study in 2014 in the Journal of Family Practice. In this study, he followed 198 cardiac patients who had been counseled to follow a plant-based diet. The majority of patients (177 of them) were still following the diet at 3 years, and in that group, only one person experienced an adverse event (stroke). In contrast to that group, 13 of the people who did not follow the pant-based diet suffered adverse events, including stroke, bypass surgery, stent placement and sudden cardiac death, caused by the progression of their disease. RCR: How did Dr. Esselstyn’s lecture affect your work with patients? DP: It gave me structure and guidance and more information to share with them than just that tired old recommendation to ‘eat things in moderation’, which does not work to prevent or reverse disease! It helped me to simplify the picture. Just get the unhealthy foods out and embrace healthy foods as part of a plant-based diet. The health benefits of a plant-based diet are endless, and not just for the cardiovascular system. Eating this way improves blood sugar control, weight, blood pressure, erectile dysfunction, and so much more. It’s exciting to have this tool to share with my patients. RCR: How do you talk to your patients about diet? DP: It’s hard to keep me from not talking about food! I am so passionate about this way of treating patients, that I will always spend time and approach the conversation at whatever level they are at. I will do whatever I can do to help them succeed. I have a handout I give them on the benefits of a plant-based diet, which includes meal ideas. There are also a lot of references in the handout if patients want to do more research on their own. Ideally, it is best to have a hands-on lifestyle program to help people really make lasting lifestyle change. In San Diego, I taught a 5-week ‘Food for Life’ program that was developed by the Physicians Committee for Responsible Medicine, and provided plant-based cooking classes in my waiting room. People loved it and didn’t want it to end. RCR: Do you have some favorite stories to share? DP: Yes, I do! Peg was a woman in her early 70’s who was hypertensive and needed medication. She resisted taking medications and took the Food for Life Program instead. In the beginning, she felt she could only partially follow a plant-based diet, but she wound up going 100%! Her blood pressure dropped and she no longer needed medication. Another story, close to my heart, involves my father. He is obese and has hypertension and diabetes. He came to visit me for two weeks and ate 100% plant-based meals with my husband and me. 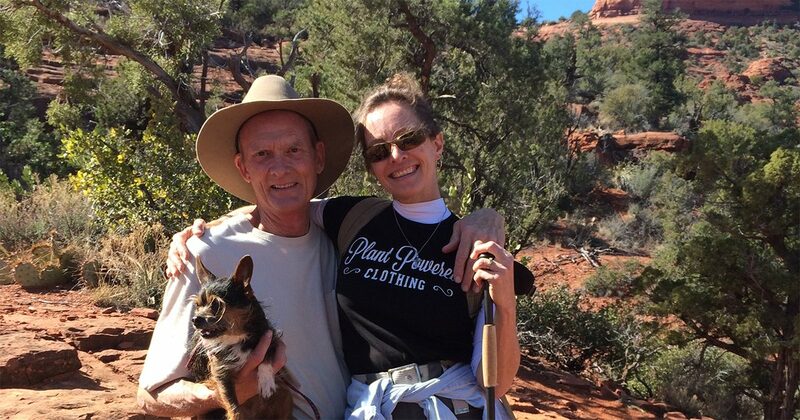 In two weeks, he lost 12 pounds and cut his insulin and blood pressure medications in half. There are many more stories. Just today, I met with a gentleman who lost 20 pounds in two months. His glucose levels are improved, and he’s avoided taking a statin. This is just from following a plant-based diet, and not even 100%! RCR: As a physician, how would you sum up what you want people to know about food and health? DP: The author Michael Pollan really summed it up so well. ‘Eat food, mostly plants, and not too much’. Another good one is from Hippocrates, ‘Let food be thy medicine and medicine be thy food’! The YRMC Pendleton Wellness Center in Prescott hosts a ‘Reversing Heart Disease Support Group’ each month that explores diet and lifestyle strategies to stop the progression of heart disease. It is free to anyone in the community and meets on the second Monday of each month from 3-4 pm. Call the Wellness Center at 928-771-5794 for more information. Additional information and research on the benefits of a plant-based diet and healthy lifestyle habits can be found at ornish.com. I read this article and found it very interesting, thought it might be something for you. 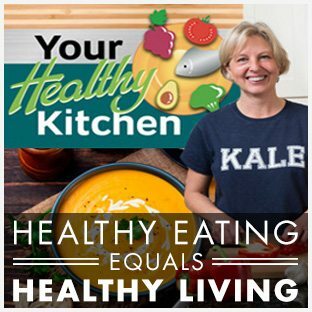 The article is called An Interview with Deanna Price, MD: Lifestyle Medicine and Reversing Disease with a Plant-Based Diet and is located at https://yrmchealthconnect.org/an-interview-with-deanna-price-md-lifestyle-medicine-and-reversing-disease-with-a-plant-based-diet/.